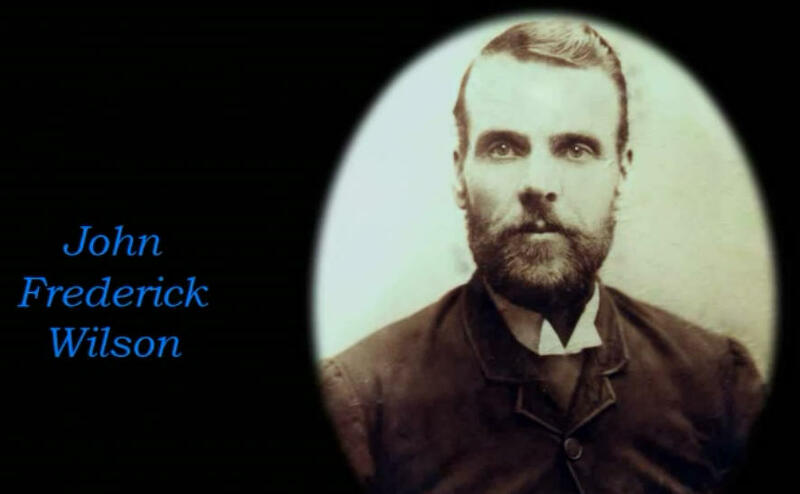 John Frederick Wilson was the third child and second grandson of John Bowman Wilson and John’s spouse Agnes Eliza nee Smith (McDonald), born in Hobart April 1855. John Frederick married twice, his first wife Amelia also nee Wilson, and with her they had a large family of seven children from whom many descendants derived, some active in our research today. Amelia died in 1908 and John married again in 1909 to Helen Rebecca Warner – this marriage produced one child Laurence Frederick James Wilson, b.1910 in Balaclava, Melbourne. We will commence our outline of the family of John Frederick with the second marriage and the only child Laurence, and tell about what eventuated in his life. Laurence has for many years been ‘lost’ to us – in all of the mammoth research our group has undertaken we were never, until now, successful in discovering the whereabouts of Laurence and whether he had family and descendants living today. Where we had multiple images of most of our forebears of that time we discovered only one rather poor image of Laurence as a young lad of 6 or 7 – it is shown below. It is a photograph Postcard sent by Nellie to Fanny (Francis) Wilson (nee Ryan) spouse of John Frederick’s brother Albert Wilson. Further, our collection of photos of members ofthis family has expanded, and additional photos are attached below – click to enlarge. In October 2016 our understanding of Laurence’s destiny changed with the ‘discovery of us’ by his granddaughter …..
Previous230 years – and just a Conversation away!